Promote your company message in full color from the convention to the farm market! 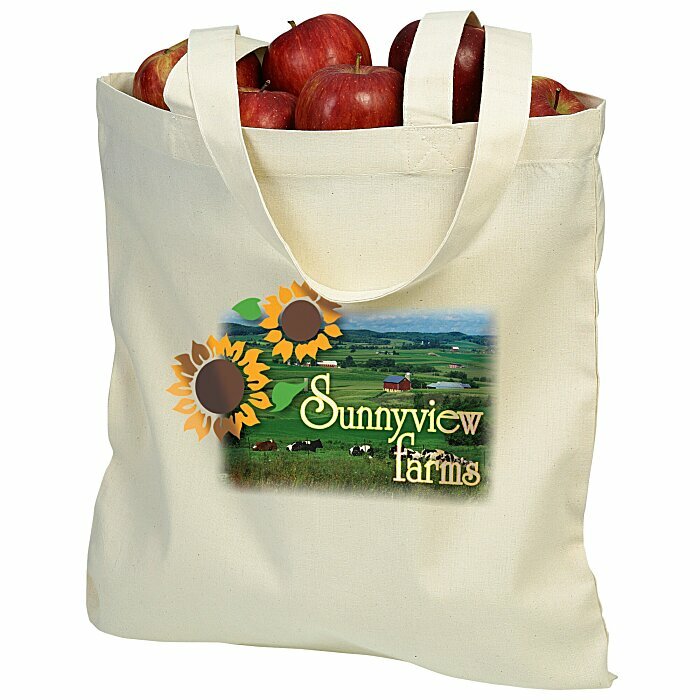 These quality 4-oz cotton promotional totes are perfect for running errands and grocery shopping because you don’t have to worry about them ripping or breaking. Long-lasting cotton tradeshow bags will stick around long after the event. The reusable shopping tote bag can be folded flat for easy storage in closets or front halls. Your price includes a full-color imprint on the front of the promotional bag.